Over the years the number and range of backup and peripheral services we offer has expanded to enable us to make our “One Stop Shop” status. We can survey your building or site, create bespoke cleaning schedules, sell you the goods you need, train your staff how to use them safely and correctly, provide you with all the necessary backup data and paper-work, maintain and repair all types of cleaning machinery and finally our washroom services enable you to meet all current hygiene regulations. 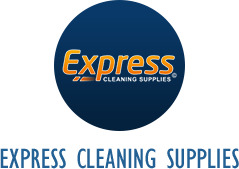 Our core business is the supply of cleaning, hygiene and maintenance products. We have the chemicals, hardware, paper products equipment and machinery you need on a day to day basis, in stock ready to be delivered. With over 13,000 square foot of space in our Aylesford office/warehouse complex and 6 vans on the road everyday you can be assured of fast reliable deliveries made by courteous drivers every time. We value our independence and as such are happy to recommend products from most of the larger manufacturers but also from some of the smaller less well know manufacturers who often can produce better quality products at very competitive prices. As one of the top 5 independent suppliers in the country our size enables us to purchase very competitively, savings which we are happy to pass onto you the customer. Launched in 2009 our range of workwear and PPE products has been specifically chosen to complement our general janitorial and cleaning ranges. All of our PPE is designed and manufactured to certified British and European safety standards ensuring total protection for you and your staff. In an age of corporate awareness branding is becoming more and more important. 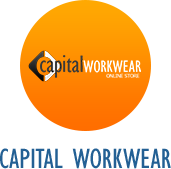 We only use state of the art sewing machines and screen printers which means we can customise workwear and uniforms with any logo in any size on any part of the garment. We can even design your logo for you if you do not already have something set up. Whatever your workwear needs our team can help make the right choice every time. 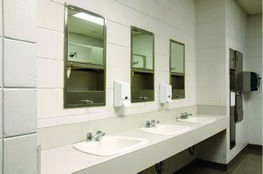 Our total washroom service will give you complete peace of mind and keep your building looking pristine in even the most demanding conditions. From air fresheners to logo’d entrance matting and a complete range of hygiene services we have a solution for you. Our main focus as a company is to provide a reliable, regular, discreet and cost effective service for our clients. 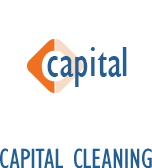 From small businesses to large multi storey office buildings, Capital has been tailoring washroom services for over 20 years. Our services have evolved with time and we have been as flexible as we can to meet the needs of every client. Our service intervals are either 4 weekly, 2 weekly or weekly, in busy periods twice weekly has been necessary. If you are a holiday park or a school for example we can also set up seasonal or term based schedules to meet the demands of your workplace. Why not speak to our sales team to see just how we can help with your washroom services. We specialise in the sale of quality cleaning machines from all of the major manufacturers in the country. We are main agents for Karcher, Victor, Numatic, Truvox, Osprey, Prochem, Sebo, Rug Doctor, Nilfisk and Prochem. With so many machines to choose from it can be daunting finding the right solution to your problem. With years of experience behind them our staff will be able to advise you which machine is best suited to complete any job as efficiently as possible, what if any accessories are appropriate and which chemicals will get the best out of your latest investment. Where appropriate we are able to arrange demonstrations of machinery on site to prove its ability to do the job to your total satisfaction. At this stage we can also check simple things like will it fit in my storage area, will it go up and down the stairs and are my staff able to use it properly. Capital is licensed under the Consumer Credit Act 1974 and we can provide competitive lease rates for any equipment over £1000 in value, through our preferred leasing partner Focus Leasing. With leasing arrangements available from 24 to 60 months there really is no reason to delay your purchase. To find out more or receive a quotation tailored to your specific requirements, call us today or contact Focus via this link. For when it all goes wrong we employ our own engineers who have wide manufacturer training and approval to maintain and repair your valuable investments. We also offer PAT testing, Service Contracts and Extended Warranties all to ensure that where possible things going wrong and you get the very best from your equipment. Certificated training for your staff will not only satisfy many of your health & safety requirements it also improves efficiency and boosts staff morale. Our training school has been purposely designed and equipped to provide high quality training. 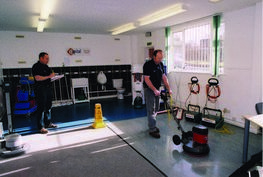 We run a range of industry approved training courses for carpet and upholstery cleaning, floor stripping, floor polishing and general maintenance. We also run courses in washroom hygiene and general housekeeping covering the latest techniques and maintenance methods. Courses can be tailored to your specific needs and can range in class size from one to one tuition, right up to groups of ten or twelve. Do your staff have an awareness of COSHH the CONTROL OF SUBSTANCES HAZARDOUS TO HEALTH? Have they had any training in the correct use and handling of chemicals? Would they recognise any of the symbols commonly found on chemical bottles? If you are purchasing your chemicals from Capital we can provide advice free of charge on your premises and make your staff aware of their obligations under the COSHH regulations.